Zain is a mobile telecommunications company founded in 1983 in Kuwait as MTC (Mobile Telecommunications Company) and later rebranded as Zain in 2007. Zain has a commercial presence in eight countries across the Middle East with 46.9 million active customers as of March 2018. With a vision for building a sustainable and innovative digital communications company is serving consumers and enterprises with a rich and simple mobile experience. Zain group operates with a passion for providing enhanced customer experience and maintaining operational effectivenes. Zain’s strategy is based on six transformational initiatives: Customer Experience; Operational Effectiveness; Value Management; B2B; Digital Frontier and Innovation, and Talent Development. Listed on the Kuwait Stock Exchange, there are no restrictions on Zain shares as the company’s capital is 100% free float and publicly traded. The largest shareholder is the Kuwait Investment Authority with a 24.6% as of December 2017. 1. Consistently profitable operations: The consolidated financial results for 2017 highlight the positive developments achieved by the several of the Groups key markets in terms of operational performance. In 2017, Zain Saudi Arabia reported USD 3.1 Million net profit turnaround that saw for the first time in its history recording an annual net profit. Zain Sudan recorded exceptional performance in local currency terms, with all its financial indicators jumping to all-time highs. Furthermore, in 2017, Zain Iraq also became profitable again after previously reporting losses. Zain group also witnessed the impressive addition of two million customers and significant growth of data revenues. Even in such challenging environment where businesses are facing increasing pressure on the profit level, Zain group managed to generate reasonable profits on year on year basis for the entire group. In last 3 years, Zain has group has reported an average profit on KD 2,68,073. 2. Market leader in Kuwait, Iraq, Republic Of Sudan, Jordan & Lebanon: Zain is considered as the new global brand for leading emerging markets mobile operator. Zain emerged as market leader in Kuwait, Iraq, Republic of Sudan, Jordan and Lebanon. Zain Kuwait started its operation in 1983 as Mobile Telecommunications Company(MTC) is the most profitable company in the company. Zain Kuwait has snatched a significant market share of 37% for the year 2017. Zain Iraq commenced in the year 2003 has a market share of 41% for the year 2017. The customer base of Zain Iraq grew 16% on year on year basis to reach 14.7 million. Zain Sudan came into the business after the acquisition of a 61% stake in Mobitel for USD 1.33 Billion. As of 2017, Zain Sudan has a market share of 47%. Zain Sudan is serving 13.5 million customers which 2nd largest in the group. Whereas Zain Jordan & Zain Lebanon has also maintained its market share of 36% and 54% respectively in the year 2017. Therefore, such market share will help Zain Group to generate more revenue as compared to its peers. 3. Focus on cost effectiveness and optimization: The telecommunications industry is undergoing a radical transformation and its moving towards digital and cloud services. It is very evident that the profitability levels of telecommunication companies are under increasing pressure in the challenging operating environment. It becomes very difficult for the companies to meet increasing capital expenditure requirements and rising operating costs. Hence, Zain is aggressively focusing on cost optimization programs. In line with this strategy, Zain sold and lease-backed the passive infrastructure of Zain’s mobile tower portfolio in Kuwait for USD 165 million to IHS Holding Limited. The transaction will not only reduce future expenditure but will also allow the company to increase investment in modern technologies and focus on enhancing the mobile experience for customers. In such a way Zain Group is motivated enough to exploit and enhance every cost-benefit opportunity. 4. Strong brand value in Middle East: Brand value is defined as a premium that accrues to a brand from customers who are willing to pay extra for it. Zain group is constantly developing its customer base and contributing to the development of solutions for government and mobile services entities, cloud services, Internet of Things and smart city solutions. Thus, one of the core focus of the Group now revolves around the enabling enterprise growth. The Zain Brand is one of the most important assets of the company and accordingly, it continues to invest in it for the benefit of all stakeholders. Brand Finance, the leading valuation and strategic consulting firm, valued Zain as the second most powerful brand in the Middle East in 2017, amounting to USD 2.34 billion, up 9% from its evaluation in 2016. 5. Innovations strengthening the technology platform: Telecommunication industry is very dynamic in nature. Telecommunication companies need to be highly innovative in nature to be competitive in the market. Therefore, Zain Group is investing heavily in innovation and up-gradation of services. Zain is focused on identifying opportunities in the smart city space, E-entertainment, m-health, e-education, online gaming, online commerce, m-advertising, m-payments, m-insurance and other financial technology services domain as well as cybersecurity. In 2017, Zain enhanced their Zain Cash service in Iraq and Jordan to support the vast unbanked population estimated at 90% in Iraq and 75% in Jordan. In 2017, Zain Cash is capable added new services such as virtual MasterCard, In-app services, QR code store payments, paying at an agent, loyalty programs and e-commerce platform. Zain is planning to introduce this platform to other geographies in Zain footprint. 6. Reduced debt to equity ratio: In 2017, Zain sold 9.8% worth of treasury shares to Omantel at a total valuation of USD 846.1 million. The liquidity from this transaction brought many immediate and significant benefits to zain as the deal allowed to reduce the debt levels and increase shareholder equity. In 2017, Debt to Equity ratio has reduced to 0.44 from 0.69 of last year. Reduced debt portion in capital employed will reduce interest burden on the company’s bottom line will help to generate more earnings per share for the shareholder. Further, a transaction has helped the Zain group with enhanced financial flexibility which will allow seeking opportunities in the digital space and investing in up gradation of mobile networks. The transaction also demonstrates Omantel confidence in the strength of Zain group business and in Zain’s strategic direction. 1. Adverse effect of Political Polices: Lower oil prices, high youth, unemployment, large budget deficits and civil conflicts are impacting economies. Value Added Tax (VAT) at 5% has already been introduced in Saudi Arabia and United Arab Emirates (UAE) and is set to be implemented in other Gulf Cooperation Council (GCC) countries by no later than 2019. The implementation of expat levies and removal of energy subsidies have reduced the disposable income of consumers in Zain Markets. In tandem, governments continue to seek high spectrum fees, increase in mobile special taxes, excise taxes on usage, higher revenue share or introduction of additional costs through the imposition of universe service obligation. In Jordan, amount of taxes paid on top line sums up to 46.16% in addition to the revenue share of 10%, regulatory levy of 1% and corporate income tax at 24%. 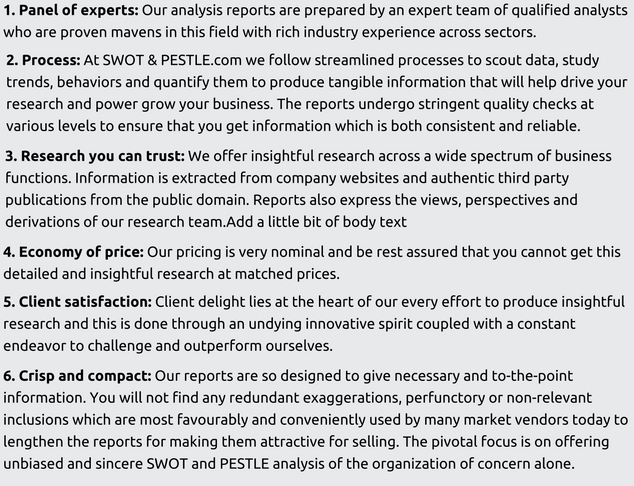 Analytical researchers are of the opinion that increasing tax burden will have an adverse effect on telecommunication sector. Further, consumer taxes impact consumer spending consequently lowering Average Revenue Per User (ARPU). 2. Political conflict and unstability in MENA regions: Political dynamics in the Middle East and North America(MENA) and daily events in Bahrain, Egypt, Iran, Iraq and other countries showcase current course of violence and instability in the region. It has been very evident that the region is facing demographic pressures, failures in economic development and the combination of challenges related to income distribution. Current UN, World Bank and others claim that situation in MENA countries is getting worse especially in conflict states. The pace of change and reform in most countries is far behind the actual need for change and reform. Hence, such macroeconomic factors have an adverse effect on the working of the business. Telecommunication companies such as Zain may find it difficult to effectively manage the ill effects of the political conflict and instability caused in the MENA region. 1. Social branding and promotion: Zain invests heavily in its brand and services on all media channels which help them to increase customer loyalty and attract new customers. By the end of December 31, 2017, Zain group was able to reach 9 million fans on facebook with an year on year increase of 10%, more than 6.5 million followers on Twitter and 1.2 million on instagram. Zain group is also focused to launch its respective Snapchat channels which will help them to gain popularity among its customers. During 2017, “Zain group and operations” Youtube channel witnessed 125 million views predominantly due to the success of various Ramaden campaign and product service launches.As we are moving towards a digital world a social brand of this nature will help Zain Group to increase customer advocacy. 2. Middle East region registering world’s highest population growth: Middle East region has witnessed one of the highest population growth globally in the new millennium. The region registered a population growth of 44% versus 34% in India and 27% globally from 1990-2008. The new generation of youth will be major potential telecom services users. Saudi Arabia has one of the world’s highest rate of YouTube subscribers with close to 60% of users watching online videos. These regional demographic trends present significant opportunities for telecom players such as Zain in internet and digital content space. 3. Promoting inclusivity to help reach out to more customers: Inclusivity means an intention or policy of including people who might otherwise be excluded or marginalized, such as those who are handicapped. Being in a telecommunication sector, it becomes difficult for the companies to advertise their products and services to the deaf community. Hence in 2017, Zain Jordan added an extraordinary feature to the website of instantly translating written English and Arabic into sign language for the Deaf Community. The inclusive approach ensures that Zain products and services can be accessed by all segments of society. With help of Mind Rockets, Zain Jordan has developed assistive technology solutions which can help to bridge the gap between the deaf and hearing community. It will help to cater an extra market segment for the Zain group. Etisalat, Mobily, Ooreedoo, Du, MTN, Omantel. Zain, touch, Paltel, MTC Bahrain. Mobitel Telecom 2006 Acquisition Becomes the leading mobile operator in Sudan. 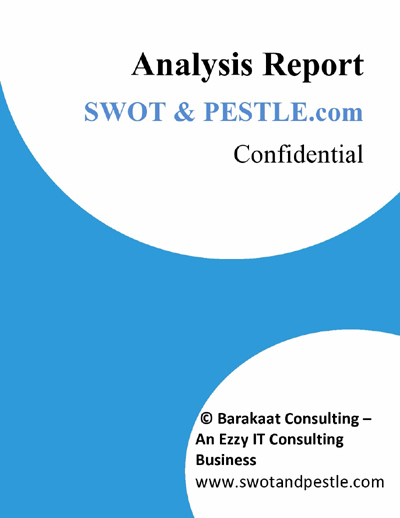 Zain SWOT and PESTLE analysis has been conducted by Kushal Shanbagh and reviewed by senior analysts from Barakaat Consulting. 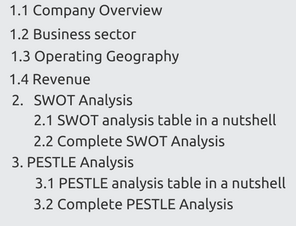 Copyright of Zain SWOT and PESTLE Analysis is the property of Barakaat Consulting. Please refer to the Terms and Conditions and Disclaimer for usage guidelines.